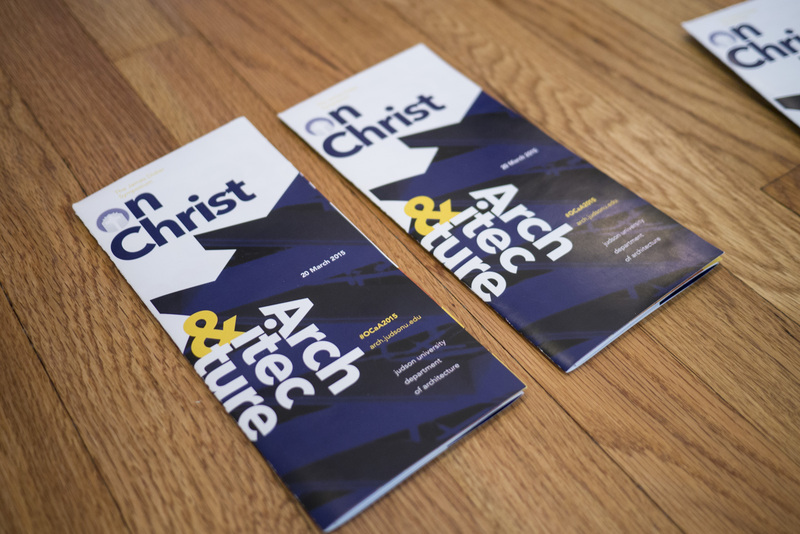 Judson University in Elgin, Illinois, has an annual symposium to discuss how their Christian faith and their vocation in architecture intersect in the person and example of Christ. 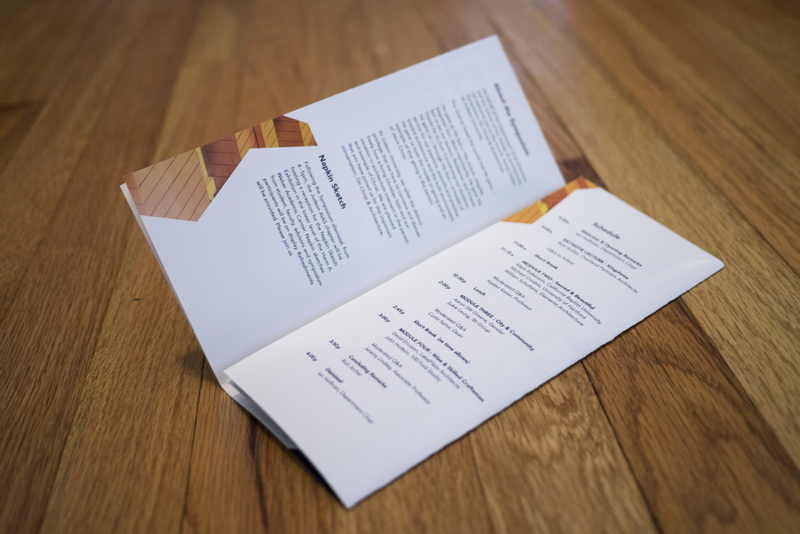 All materials for the event include shapes and colors that were modeled after the very unique architectural features of the host building. 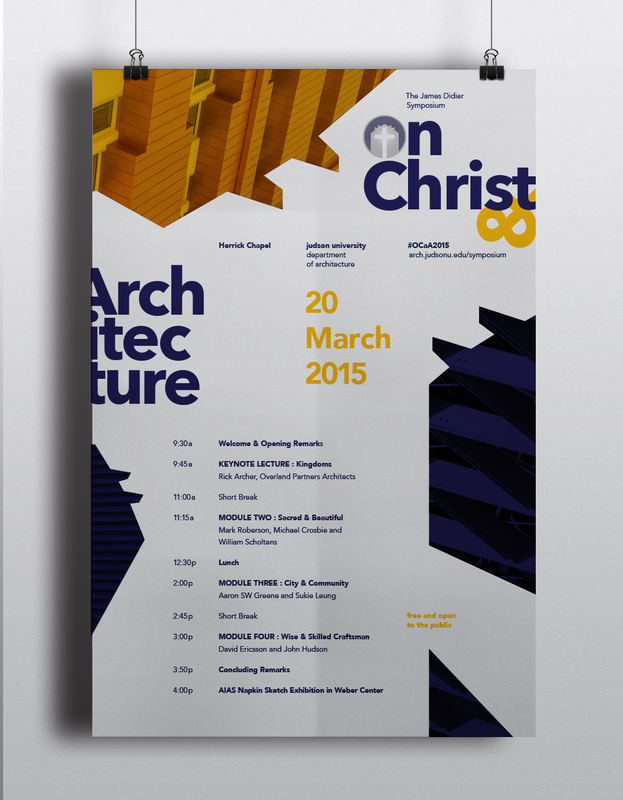 The program for the event opened into a promotional poster. 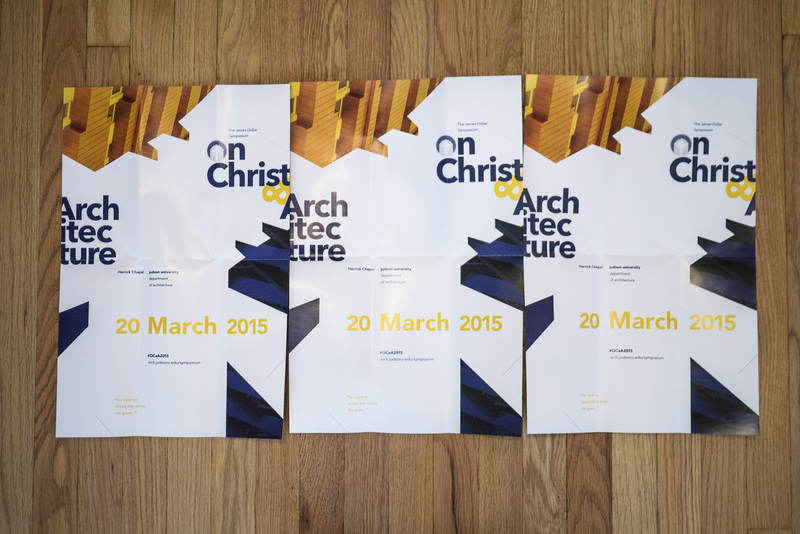 Pieces were sent to other architecture schools and firms with potential attendees. 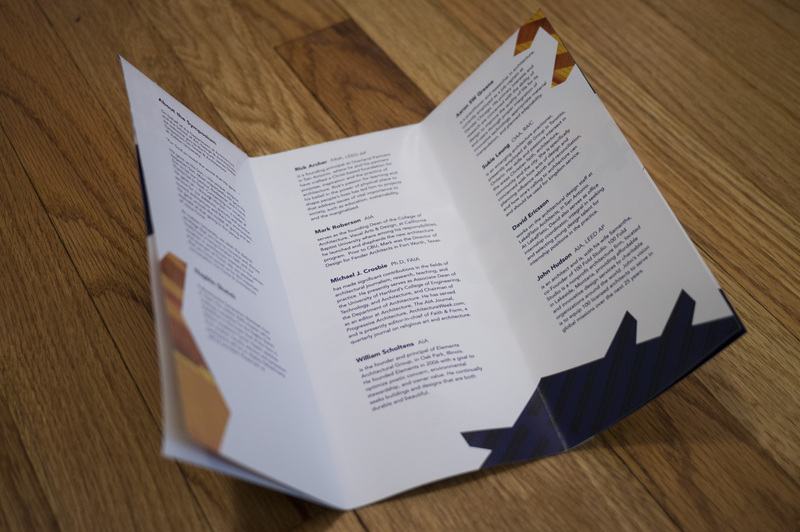 The interior posters connect when lined-up.